We begin by asking: what is innovation, and note the problems of defining both context and novelty in the usual essentialist answers. Within the literature, nonetheless, a range of types of innovation is identified, which we delineate. One way of trying to address the critique of innovation as essentialist is to try and demarcate degrees and dimensions of innovativeness. 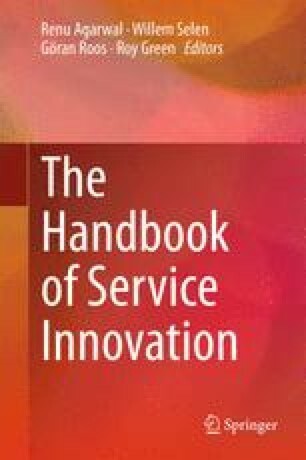 Given the specificity of this Handbook with service innovation, we next consider this particular type of innovation, looking especially at the literature associated with the view that profit is increasingly to be found in what is termed Service-Dominant (S-D) logic. We conclude the chapter by reiterating some problems in innovation research that any further extension of the term to “service innovation” will have to contend with. We would like to thank Jochen Schweitzer for his introduction to the Service-Dominant Logic (in Clegg, Carter, Kornberger and Schweitzer 2011) and Calum Davis for extending our bibliography.